FOCUS TRANSPORT: An AEC in Cumbria? Strange things are happening in Cumbria. 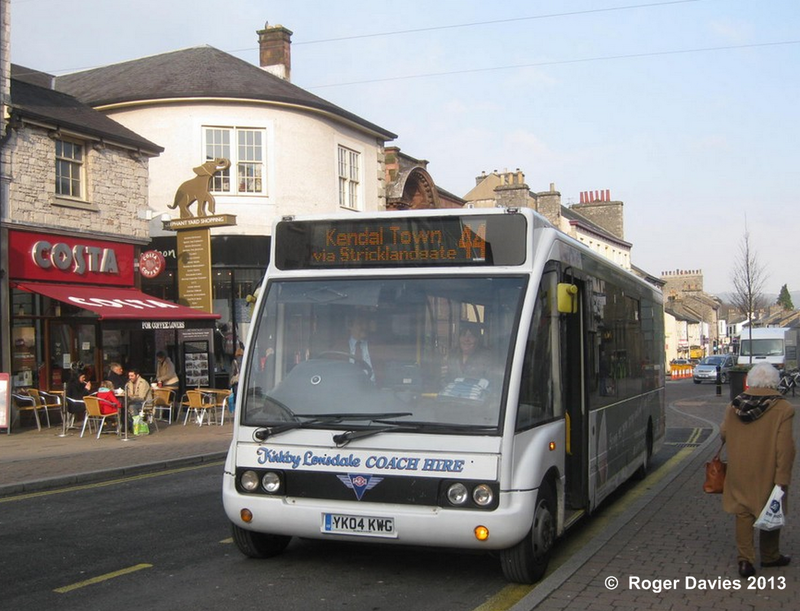 Roger Davies sends us this picture of what appears to be an 'AEC' vehicle in Kendal on the local town service. Apparently there is also a Leyland badged vehicle as well! Roger has also sent us the picture above of Stagecoach North West Scania Enviro 400's which operate on the picturesque 555 service between Lancaster and Keswick. They are painted in a livery normally reserved for hybrid vehicles within the Stagecoach group. One of the new Sheffield hybrids is shown below, operating in the city centre. The hybrid livery has been modified on these latest vehicles to incorporate a broad green strip below the windscreen. Roger was in Sheffield when the heritage liveries were launched recently by First and a couple of his pictures are shown below.